Time for a slightly different review today! I'm awful at remembering to brush my hair even though my hair gets tangled quite easily. Thankfully I've found the perfect hair brush to tackle my tangled mane! 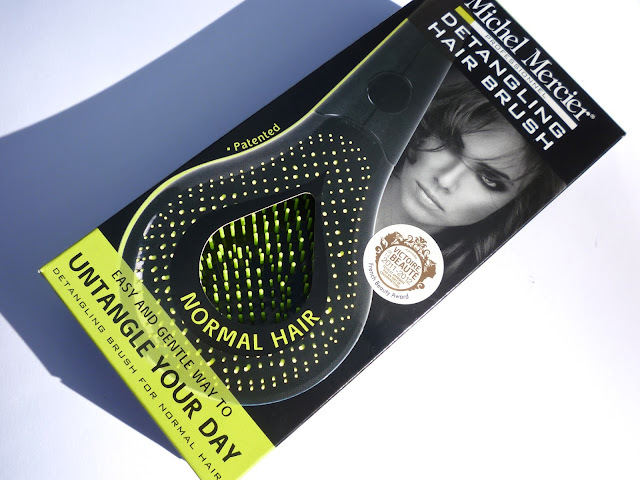 I picked up the Michel Mercier Detangling Hair Brush whilst doing some shopping in Sainsbury's the other week. I'd been eyeing it up before but never really thought to buy it until I saw it on sale for £9.74 (RRP £14.95). I'll be honest, I was being totally superficial and basically only wanted it because of the cool design and the green (one of my favourite colours!). Turns out, aside from all that, this is the best hair brush I've ever used! This hair brush comes in 3 variations for different hair types, each with varying bristles and colours; one for fine hair (pink), one for normal hair (green) and one for thick, curly and Afro-Carribean hair (blue). I chose the green one for normal hair which works perfectly on my long, frizz-prone and often wavy hair. As you can see this hair brush looks a bit different to your usual brush! I've been repurchasing the good old Denman hair brushes for years and it's so nice to have something that looks a bit different on your dressing table. The design is unique and patented with a total of 428 bristles at 32 varying heights and 16 different bristle widths and locations. I don't actually find this brush any less painful to use than my Denman, but it does do a much better job detangling my hair and I've really noticed a huge difference with my hair feeling softer. I've also found there is much less breakage and hair loss too (which was a huge issue for me before using this brush!) and I haven't yet experienced any static from using it either so that's a big bonus! Only slight issue is this brush has quite a plastic-y feel and needs to be kept away from heat, so that means you still need to have another hair brush to use if you're styling with your hairdryer! On a normal day this hair brush is a bit pricey at £14.95, but the discounted offer of £9.74 is still on at Sainsbury's if you like the look of it! It's a great hair brush and I would definitely recommend trying it if you have problems with tangled hair or breakage! 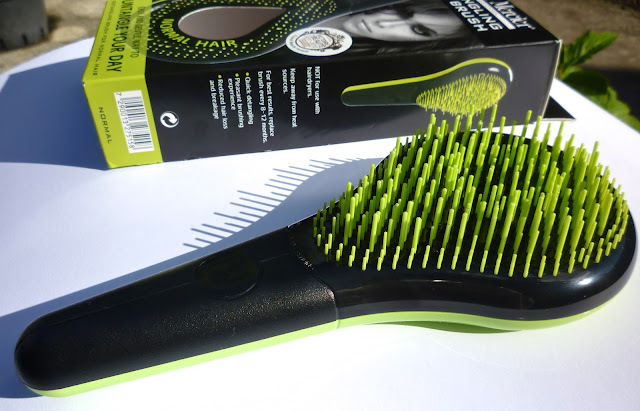 Have you tried a Michel Mercier hair brush before? 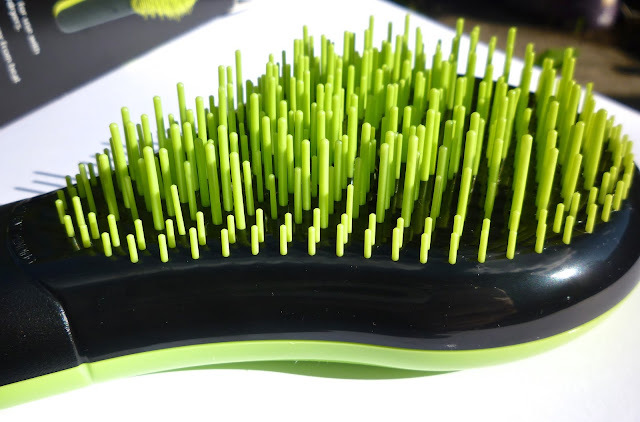 What's your favourite hair brush? Great post! My hair gets so insanely tangly when I get out of the shower, I usually just comb through it with an Ecotools wide-toothed comb a few thousand times and it's good. This would make my life easier! lol! Oh my goodness that is the weirdest looking brush ever! Haha!! But it must be worth it! I've been seeing a lot of the oddly-shaped detangling brushes around the blogs/youtube lately! This sounds good, quite like my tangle teezer brush, xoxo. This looks interesting, I always use my tangle teezer but like this idea that this has a handle. Great post. Just to let you know, I have nominated you for the Liebster Award on my blog, click here to find out more!